Spinal cord injuries happen in all types of accidents – leading to paralysis, paraplegia, and quadriplegia. Those who have suffered a spinal cord injury know it changes lives forever. It can affect your level of independence, your ability to hold a job, and your quality of life. Unfortunately, these types of injuries are quite common. We've compiled some statistics on spinal cord injuries and related injuries. 65% of spinal cord injuries occur in a vehicle or slip-and-fall accident. Nearly half of all spinal cord injuries happen to someone between the ages of 16 and 30. Spinal cord injuries often keep patients in hospitals for over 110 days for critical care followed by rehabilitation. There are 10,000-12,000 spinal cord injuries every year in the United States. Approximately 250,000 Americans are living with a spinal cord injury at any moment. The average cost to manage care and provide treatment for spinal injury patients ever year is $4 billion. 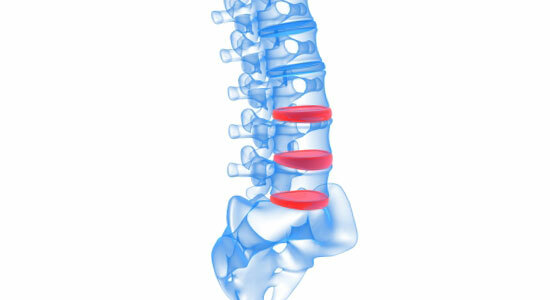 Car accidents cause about 38.5% of spinal cord injuries. More than half (55%) of spinal cord injury victims are between 16 and 30 years old. More than 80% of spinal cord injury victims are men. If you suffered a spinal cord injury in an accident, your life changed in the blink of an eye. Edgar Snyder & Associates can help you get the money you deserve. We're here to protect your rights – just like we've done for thousands of accident victims since 1982. And remember, there's never a fee unless we get money for you. You have nothing to lose. Call 1-866-943-3427, or fill out the form at the top right of this page for a free legal consultation. Phones answer 24/7, so contact us now. Source: "Facts and Figures at a Glance - June 2006." by the National Spinal Cord Injury Statistical Center (NSCISC). June 2006.